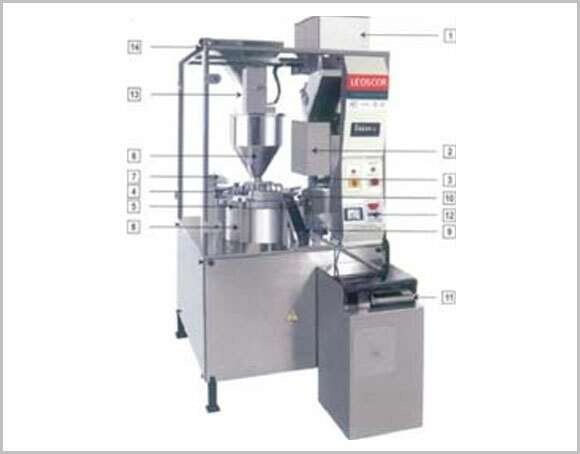 The LEOSCOR Fully Automatic Capsule Filling Machine is a result of many years of experience in the field of capsule filling. 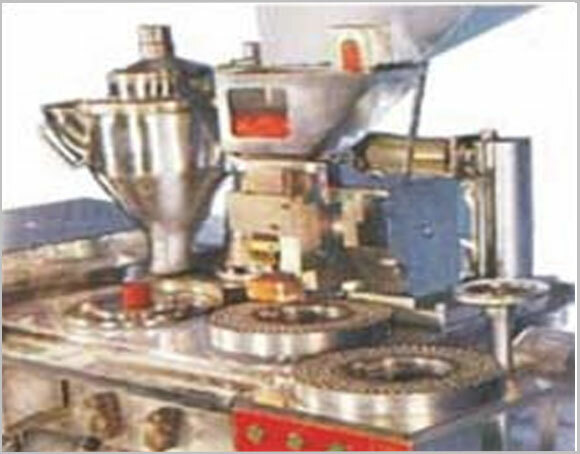 Hard gelatine capsule being a very vital dosage form, its automatic filling demands very high accuracy besides high productivity, ease of operation and minimum maintenance. 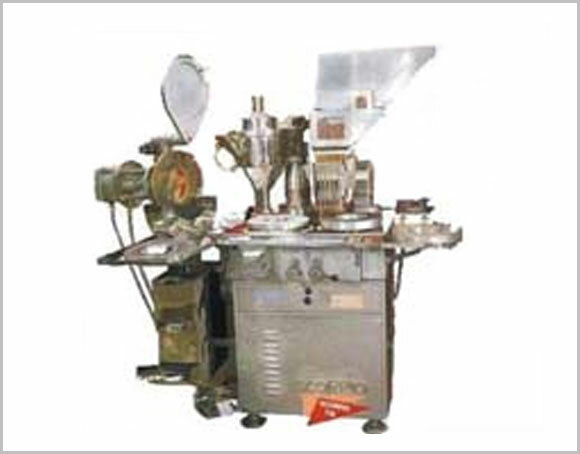 This machine has been specifically designed to meet all these requirements. 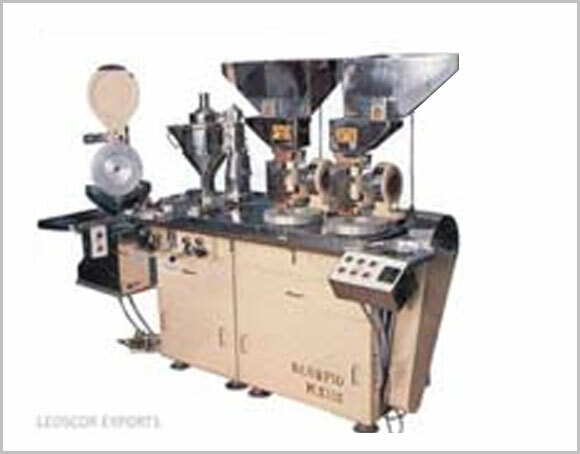 It is a continuous motion machine capable of filling upto 50,000 capsules per hour. 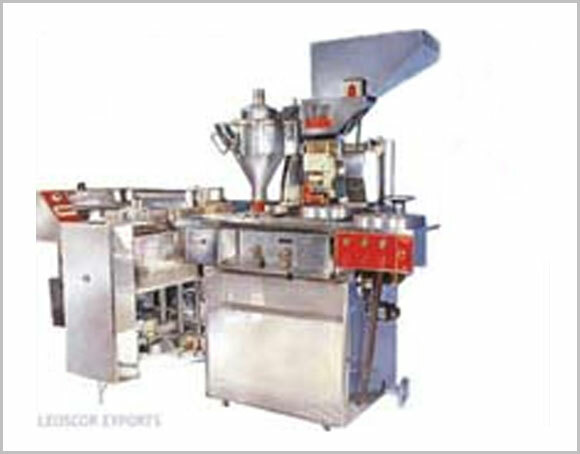 It uses the auger filling system which enables it to handle powders with a range of physical characteristics. It incorporates a unique loading mechanism that ensures no mechanical damage to capsules or print. It replaces the decades old rectification and loading system. In the process loose caps and bodies are eliminated avoiding machine stoppage. An on-line weight control system the first of its kind ensures precise weight control without operator assistance. The machine guarantees maximum quality in terms of filled accuracy and product safety at a very economical price. New loading system, prevents damage to capsules and print loading. Eliminates the loose caps and loose bodies. Variable speed auger for precise ON-LINE WEIGHT CONTROL. Unique two stage joining mechanism allows removal of entrapped air to prevent denting. PLC controls with touch screen interface. Simple drive mechanism needs no maintenance. Very accurate filling (CNC machine made components). Compact & light weight filling ring. Fills capsules of various sizes. High, Medium & Low filler augures of stainless steel. Speed choice for powder hoppers. Change over within 30 minutes. Easy operation and & servicing. Uniform flow of repose in the powder hopper. Accuracy within 2 to 4 percents.